The next Car Boot Sale will take place on Sunday 2 November. Car Boot Sales are a great place to find a bargain with many items new or nearly new. Or just take the opportunity to get rid of your clutter! We also have wonderful food stalls selling home-baking, jams, plants and crafts. Vans must be booked in, please contact 0404-45600. The Glendalough Trail race is a 15km race which takes place on Saturday 1 November with registration at the Brockagh Centre. The Glendalough Trail is a fantastic running experience with a route that is scenic, challenging and safe. Not only will it be a fun, enjoyable day but we hope to raise much needed funds for Fighting Blindness. For more information about the Glendalough Trail check out the website http://www.glendaloughtrail.com/ or contact Paul at [email protected] or phone 086 350 3994. To find out more about the work of Fighting Blindness or tips and assistance on fundraising contact Clodagh on 01 6789 004 or [email protected]. The Citizen’s Information Centre at the Brockagh Centre is open on 1st and 3rd Tuesday of the month. The next dates are Tuesday 4 and 18 November from 10 a.m. until 12 noon for information relating to your rights and entitlements. No appointment necessary. This is a free and confidential service. HACCP Training at the Brockagh Centre. Learn about Food Hygiene and Haccp for Food Handlers on Monday and Tuesday 24 and 25 November 2014 at the Brockagh Centre, Glendalough from 9.30 a.m. until 4.30 p.m. For more details check out www.abouthygiene.ie or call the Brockagh Centre on (0404) 45600. 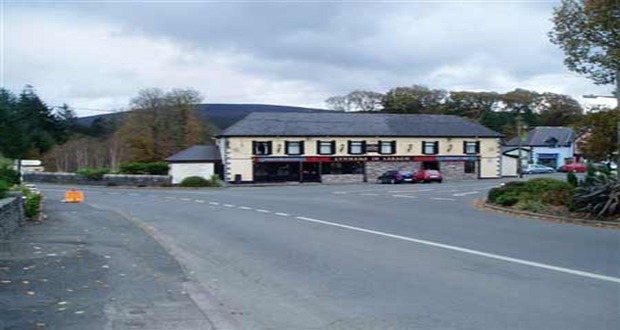 As we have a group heading for a concert on Tuesday 4 November our monthly lunch for the month of November will take place on Tuesday November 11 in the Glenmalure Lodge at 12.45. A big Happy Birthday to Rosalie Dumbleton who celebrated her 90th birthday over the past few days but unfortunately Rosalie broke her shoulder so we also wish her a speedy recovery. Rosalie has been a member of our group for the last few years since she moved from England to live here with her daughter and family. She has become firmly entrenched as a prominent member of our group and has been an inspiration to us with her agility, love of music and dance and positive attitude. We look forward to having you back with us soon Rosalie.